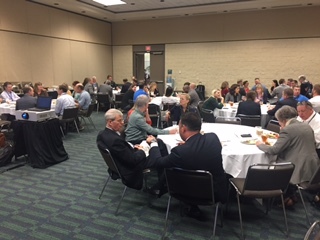 The South Carolina Chapter Networking Luncheon at HIMSS 17 was a tremendous success. 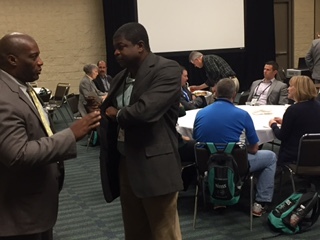 This year’s event marked several changes from previous HIMSS chapter meet ups. 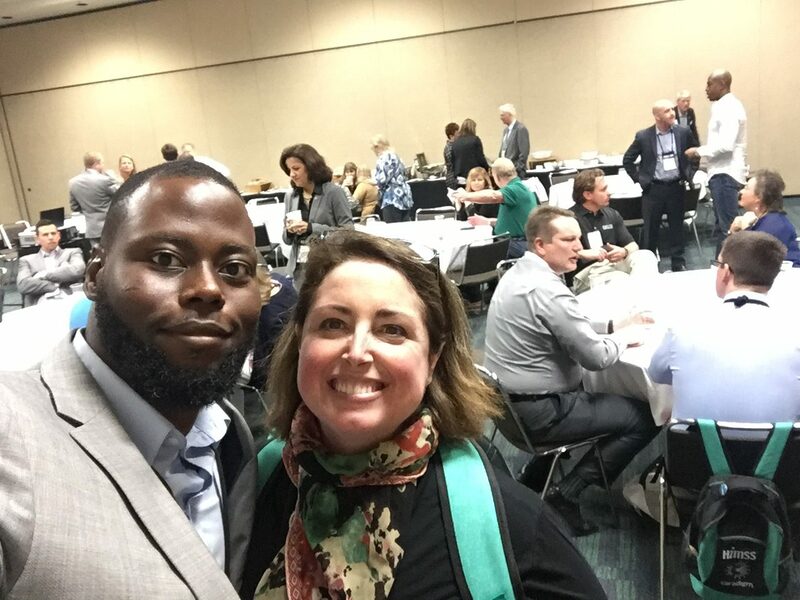 The South Carolina chapter hosted its own independent event this year after having previously partnered with North Carolina and Virginia chapters. 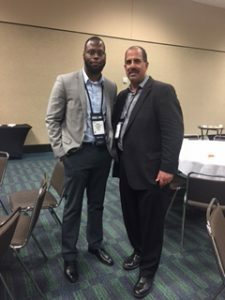 The 2017 event also saw a move from having an evening networking event off site to having an on-site event that provided attendees a convenient lunch option and didn’t require them to leave the conference or choose between other events later in the day. The changes were all well received as nearly 60 SC chapter members and quests were in attendance this year to enjoy the networking and the delicious Italian buffet. 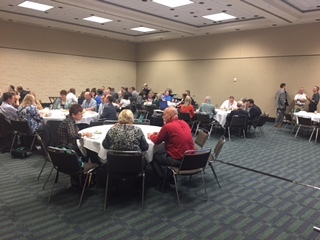 The attendee list saw an almost even mix of providers and vendors, and several attendees expressed an interest in becoming more engaged in the chapter moving forward. Board members Lisa Owens (President Elect), Shari Donley (Past President), Michelle Hager (Secretary), Glenn Mamary (Sr Regional Ambassador, Low Country & Pee Dee), and William Henryhand (Jr Regional Ambassador, Midlands) were in attendance and had the opportunity to engage and address everyone in attendance as well as recognize past presidents and vendors. The unanimous feedback from board members and attendees was that the luncheon was enjoyable for all in attendance and that we look forward to the event next year in Las Vegas!